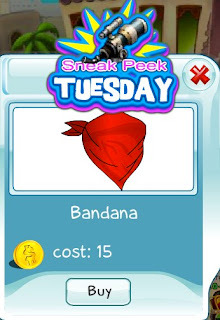 This week's Sneak Peek Tuesday feature is the much awaited and talked about Bandana!!! For all of you that have been hankering for this, it has arrived. Remember, this is a bandana and not a handkerchief, so don't go blowing your nose in it. :) Get this hot item today before the sneak peek ends.